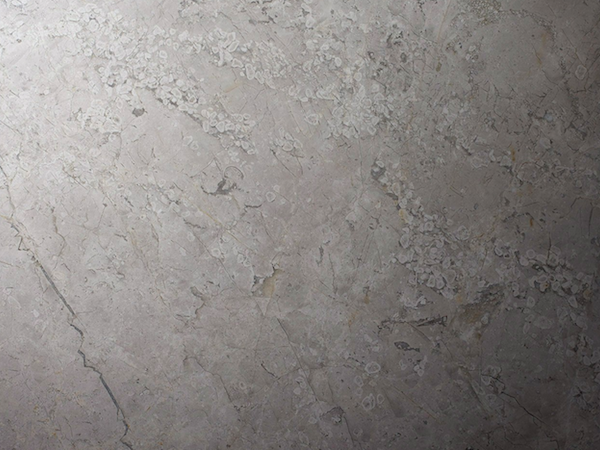 Appearance: Light to medium grey background with marble-esque markings, quartz veins and fossils. Properties: Like most natural stone, colour variation and movement occur: these are part of the beauty of this natural stone. With good technical data and durability, it is recommended to seal it to extend its longevity. Use: Due to its good wear resistance, this limestone is suitable for all internal uses, including floors, wall coverings and bespoke stoneworks (including vanity and other surfaces), in both domestic and public environments with moderate pedestrian traffic.